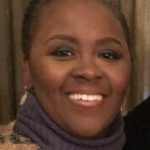 MICHELE JOHNSON HUMPHRIES Dearly loved wife, mother, daughter, sister, aunt and friend passed away on Wednesday, January 24, 2018, in St. Louis, MO. Michele’s visitation Friday, February 2, 2018, 4:00 – 8:00 p.m. at Metropolitan Baptist Church, 22 Sampsonia Street, Pittsburgh, PA 15212. Reflections will begin at 7:30 p.m. A Celebration of Life Service will be held on Saturday, February 3, 2018, at 10:30 a.m. at Metropolitan Baptist Church. Interment Greenwood Cemetery, Sharpsburg, PA . A memorial Service will be held on Saturday, February 10, 2018, 10:00 a.m. – 12:00 p.m. at the Kappa Center, 500 N. Vanderventer Avenue, St. Louis, MO 63108. In lieu of flowers, please consider donating to the memorial fund dedicated to Jaz and Tre’s Education Expenses, P.O. Box 99355 Pittsburgh, PA 15233. Arrangements by the ROBINSON FUNERAL HOME, INC., 2025 Perrysville Avenue, Perry Hilltop, Pittsburgh, PA 15214. Be the first to share a memory of MICHELE.